Hello! 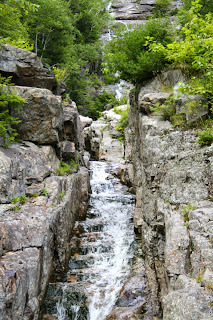 Today I have my very last post of the very last waterfall we saw in the White Mountains of New Hampshire. 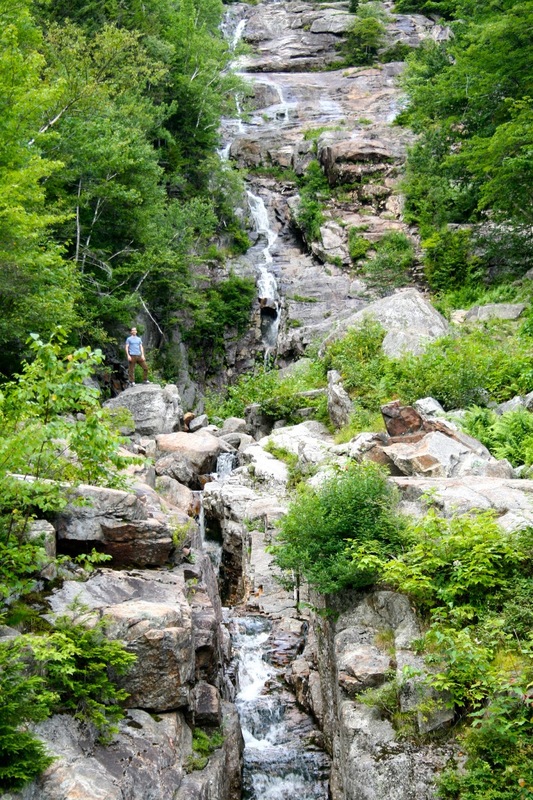 This waterfall is called Silver Cascade and can be fully viewed from the scenic highway, so there is absolutely no hiking to get there. Yeah! At first glance, it doesn't seem like much of a waterfall, but when you get out of your car and start exploring, it is a really neat waterfall. 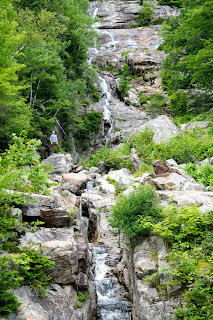 My son really enjoyed this one, because the rocks were very easy to climb and you didn't need any ropes or harnesses. The falls are about a 250 foot vertical drop and the water is a very narrow strip that bounces back and forth down the side of Mount Jackson. It is really quite pretty, and I can definitely see how it got it's lovely name. My son is on the bottom left of the picture below to help give you some scale of the falls. The water from the falls actually continues under the highway. My curious son had to explore under there as well. I wasn't as adventurous as he and just crossed the busy road and climbed over the guardrail. Here's a close up of the beautiful silvery water cascading down the rock. My son-in-law Jason at the base of the falls. 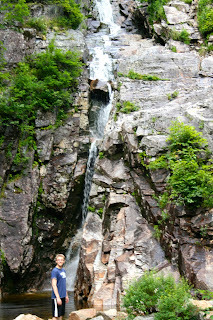 Now all three of us posing for the camera at the base of the falls. I'm on the far right. The pool at the bottom of the falls is so pretty and the water is so crystal clear. And finally, a view with your back towards the falls. Just look at those gorgeous mountains and massive rock formations. My grown boys look so tiny in comparison. Just beautiful ! The nature is so nice !!! Some more wonderful scenic pictures, lucky you to have seen it IRL! !